This blog post documents the development of the iOS application Steam Mate developed by Simon H. Larsen and Anders Bundgaard for the Autumn 2018 class in iOS programming at SDU. The purpose of the application is to connect players of games on the Steam platform with each other based on distance and preferences. Steam Mate aims to aid players in finding new people to play their favourite games with and enable more cooperative play. The application draws inspiration from Tinder, a very popular dating app for Android and iOS, in which opportunities to communicate are granted based on mutual interest. The solution for avoiding red lights. With the Bike Timer app you will be able to see when the light signal turn red and green. The app will calculate the speed you need to keep in order to pass the signal without stopping for a red light. The application was developed using Angular 4 in Typescript. It connects to an ITC traffic controller by Swarco Technology using a websocket. The gif underneath shows the app in action. The speedometer shows the current speed the cyclist is going. The green bar on top of the speedometer is the speed recommendation. The right-hand side of the speed recommendation is the maximum speed you can go to pass the signal and the left-hand side is the minimum speed you must go to pass the signal. When the signal is green, then the maximum speed recommendation is rather unimportant, however, the minimum speed is very important. This is because no matter what you will pass the signal if you’re simply going very fast, but you will not pass the signal if you’re moving too slow. This is where the speed recommendation gets handy. By following the speed recommendation somewhere around minimum, you will pass the green light without worrying about a red light when you get to the crossroads. 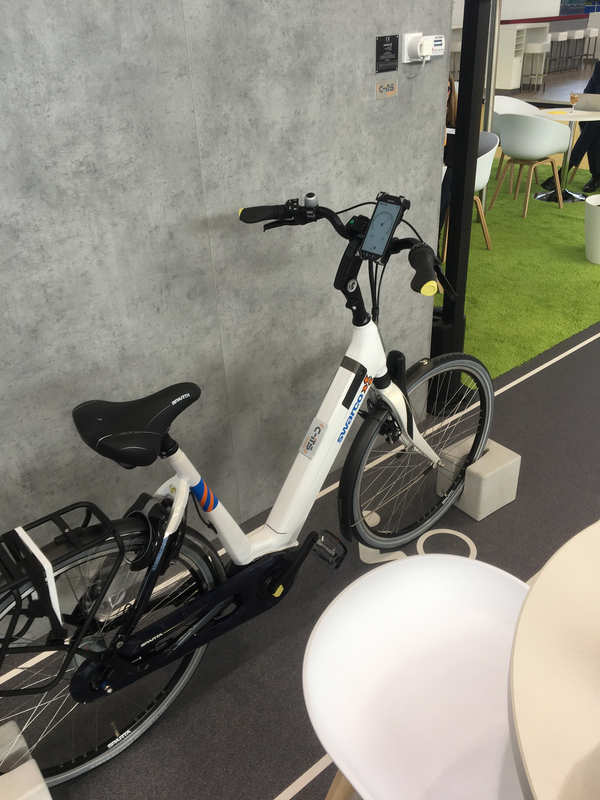 The bike timer was demoed at Intertraffic Amsterdam. 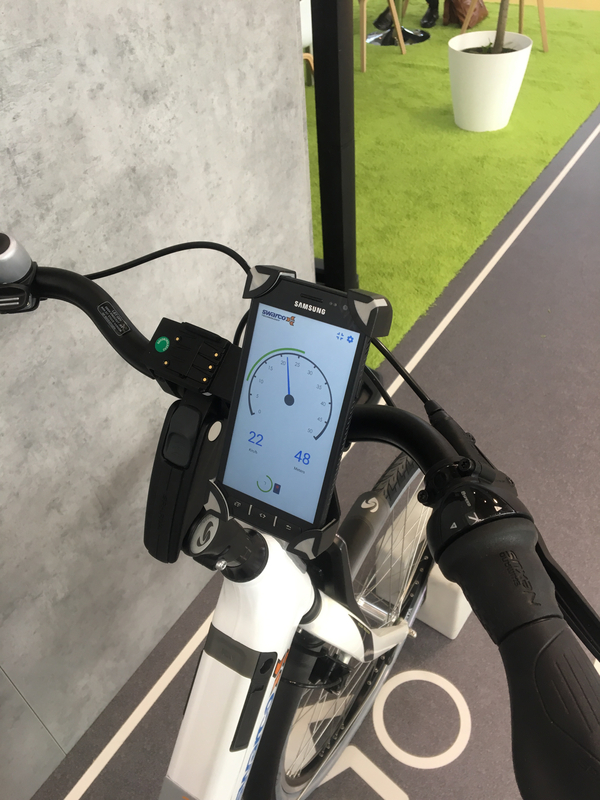 The setup included a bike, an Android phone and a phone holder. The application was integrating with an actual traffic controller – Swarco Technology’s ITC mini – which enabled the application to give speed recommendation based on an actual traffic signal. Sealife Scramble is a 2d sidescroller made in Unity3d for iOS and Android. 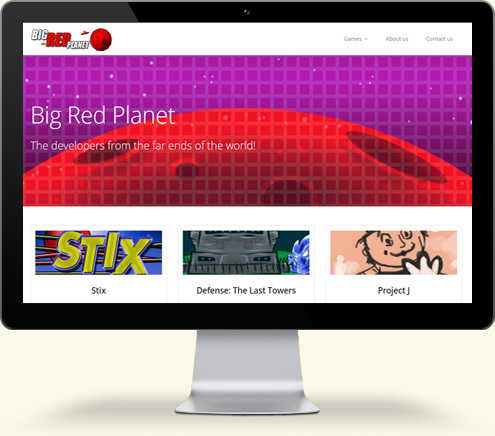 Same as my previous project Stix this game was made alongside a small indie team called Big Red Planet. I was the game designer and programmer for this title. 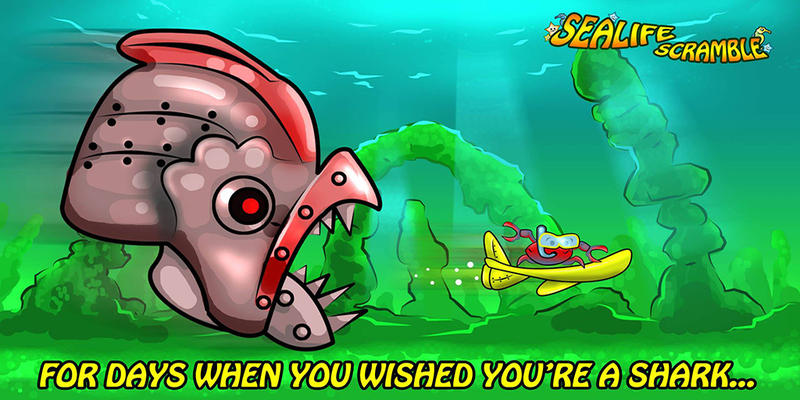 In Sealife Scramble you take the role as a Seahorse swimming for his life as he’s chased by a big, evil, mechanical creature. If the creature catches you, then it’s game over. Along the swimming route is different obstacles, like mines, torpodoes, and squids. If you collide with an obstacle you’ll be placed in a panic mode which slows you down, and makes the creature slowly catch up to you. The goal is to beat your Facebook friends highscore by swimming the furthest. Facebook has been integrated using the Unity Facebook SDK. Thus allowing users to log into their Facebook account and compete against their friends. And if the user doesn’t currently have any friends playing the game, then there’s the option of sending an app request to chosen friends. 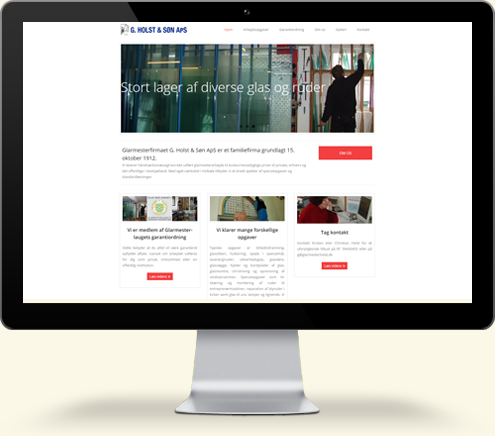 When developing Sealife Scramble we found it necessary to implement our own database solution. In doing so we used the Parse for Unity SDK, which easily integrated into both Android and iOS. When logging into Facebook, users would automatically be logged into Parse using their Facebook autherization. This would make sure that a user’s Parse account would be correctly associated to their Facebook account. Which was important when querying for highscores which only included a certain user’s Facebook friends. At the end of the first development iteration we wanted to experiment with rewarded video ads. So we downloaded Unity ads and integrated it into the project. Whenever a user was caught by the creature, the user would be presented with the option to view a video ad to escape the creature and keep on playing. Thus allowing a user to get a higher score by viewing an ad. While You Wait is a cross-platform application developed in Xamarin Studio. It’s been released for Android and iOS. The main focus was to make a “wait in line” or “queue” application aimed at restaurants, hairdressersor or similar. The main use-case would be as following; The waiter at the restaurant doesn’t have any free tables, so the waiter would enter a customers mobile number and name. This would place the customer in a queue and also notify the customer by SMS. Whenever a table would become available the waiter would send a notification by SMS to the customer. The application is constructed using different APIs. It’s using an online database, Parse, which integrates seamlessly into Xamarin through the component store. 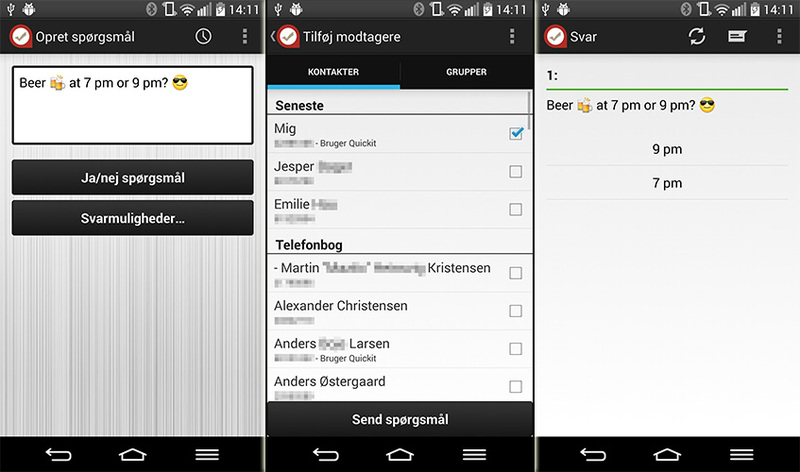 And Twilio which is used for the SMS part of the application. Twilio offers a REST API that accepts the applications queries to send SMS to the customers.